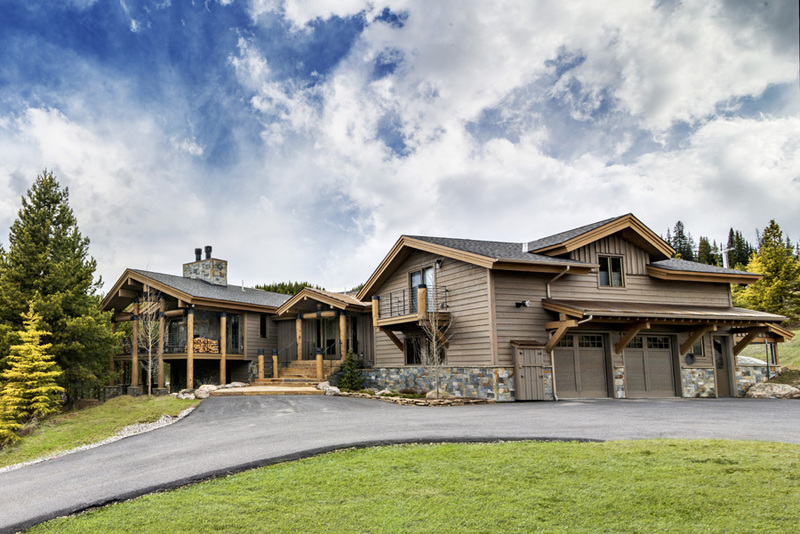 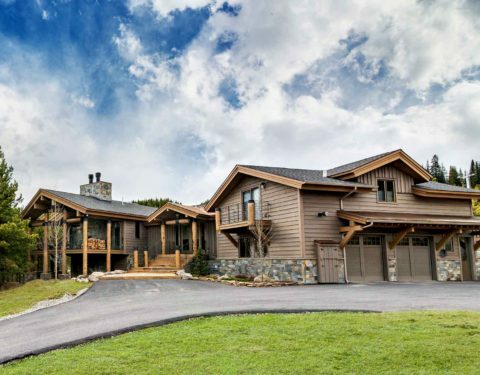 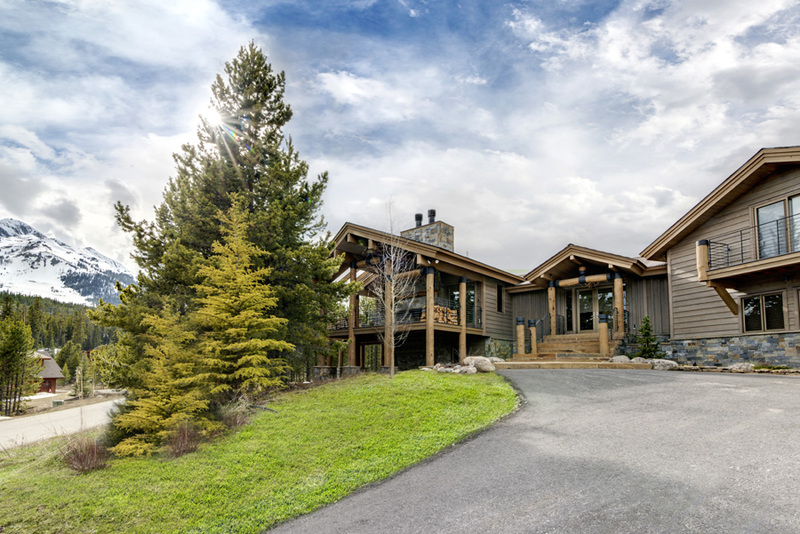 Wrapped in the privacy of the surrounding Pines and only feet from the White Otter ski lift, this custom home remodel is everything the owners dreamed it would be! 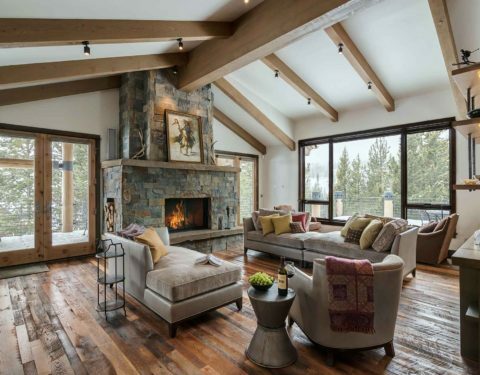 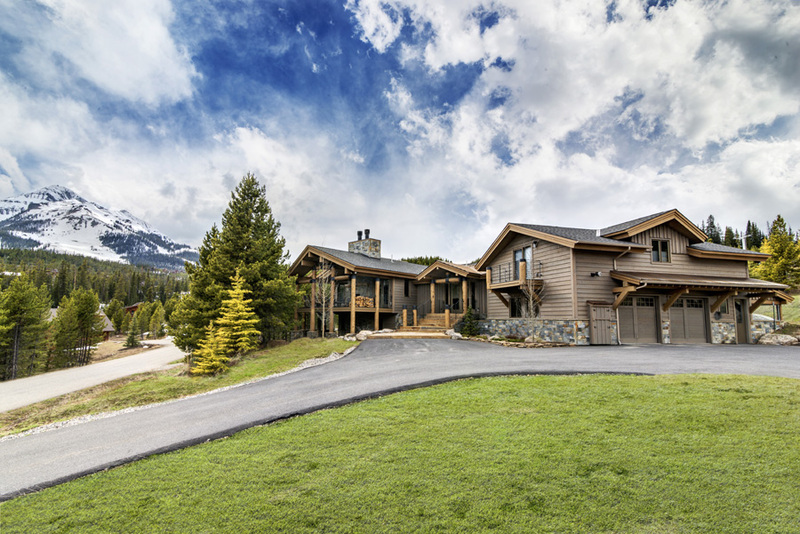 True to the well-known adage, “out with the old, in with the new,” this Big Sky mountain home takes remodeling to a whole new level. 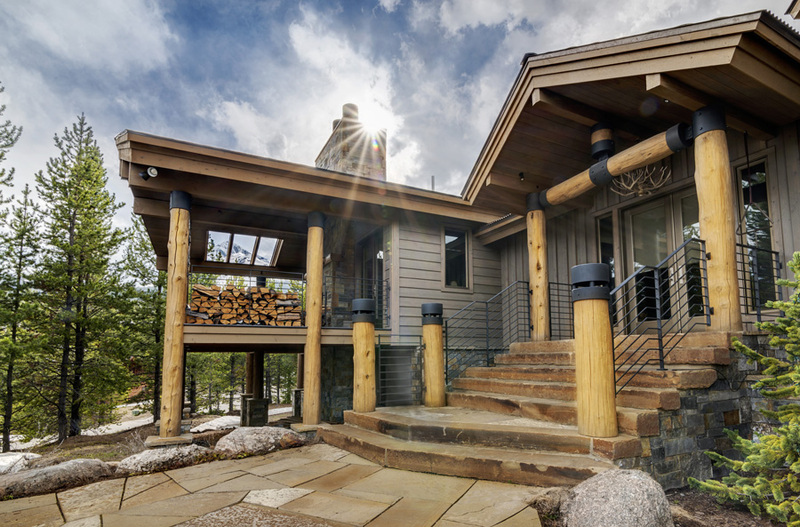 Prepare to be impressed with each step up the front steps, comprised of large, one-piece sections of Frontier sandstone. 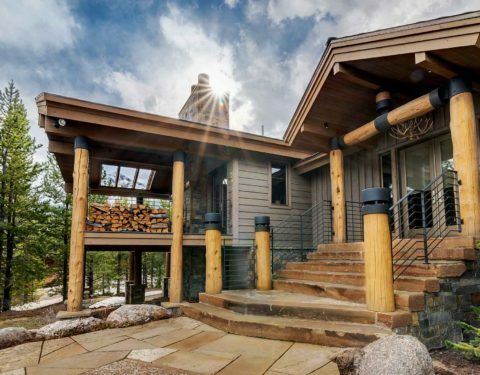 Take time to admire the large Fir log columns framing out the stairway and supporting the home’s decks. 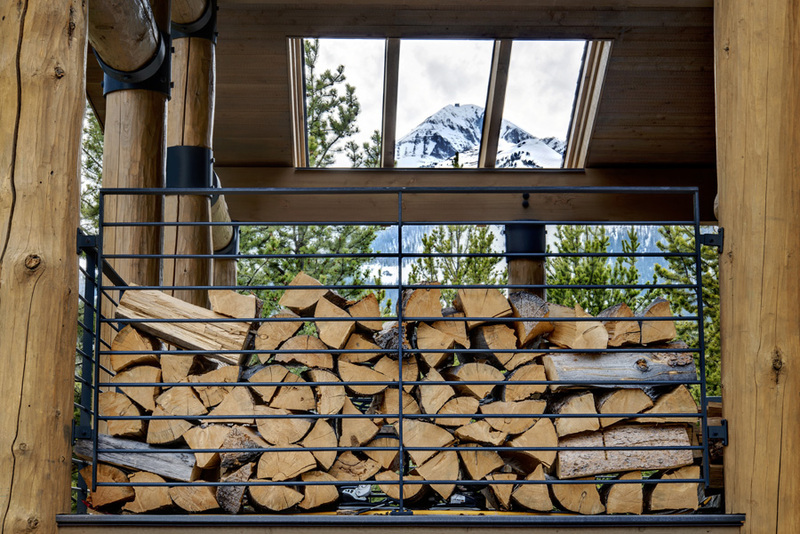 Each timber rests on a granite base and displays a custom-forged wrought iron cap—a feature that both finishes the look and illuminates the path using hidden lights. 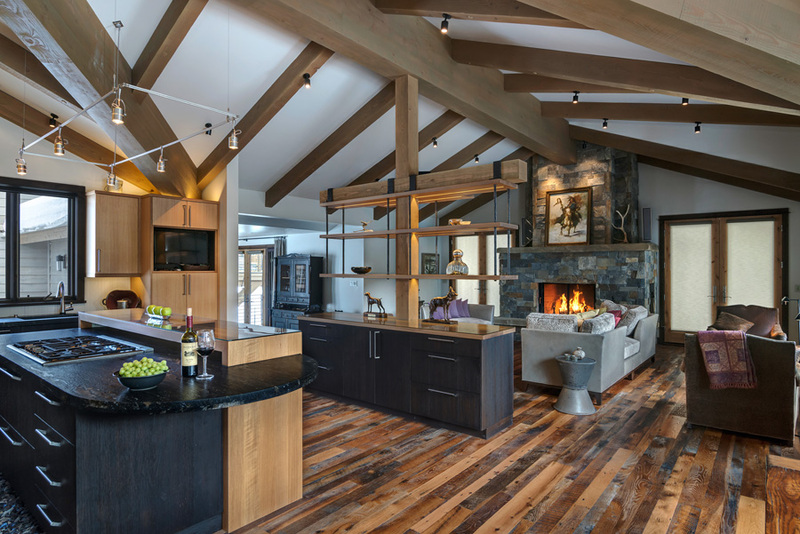 Inside, the exquisite patinas of the reclaimed Oak wood floors beautifully contrast the lighter tones of the timber-framed ceiling. 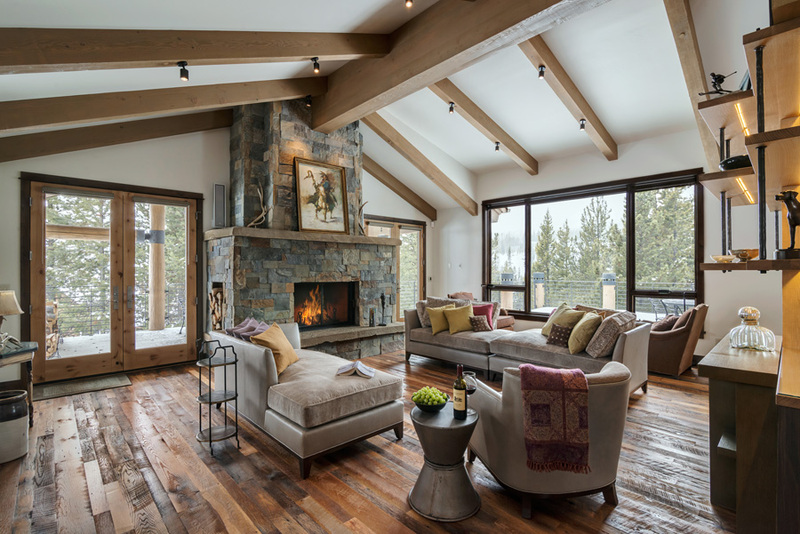 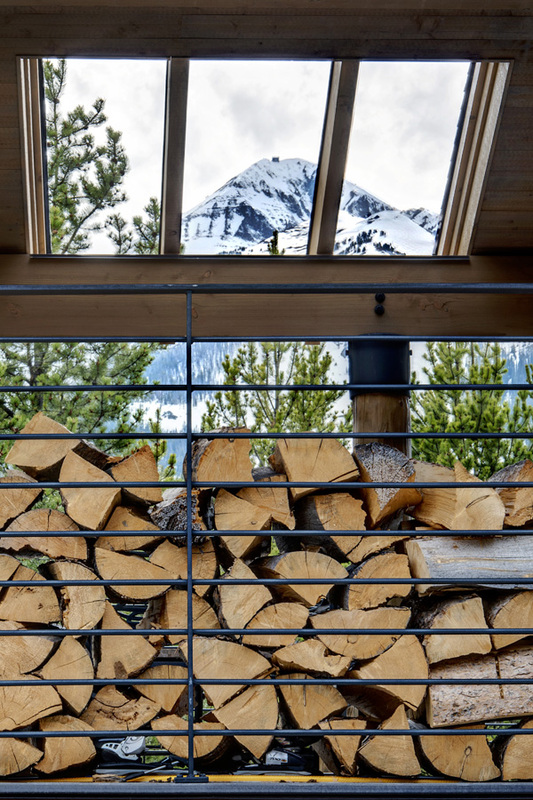 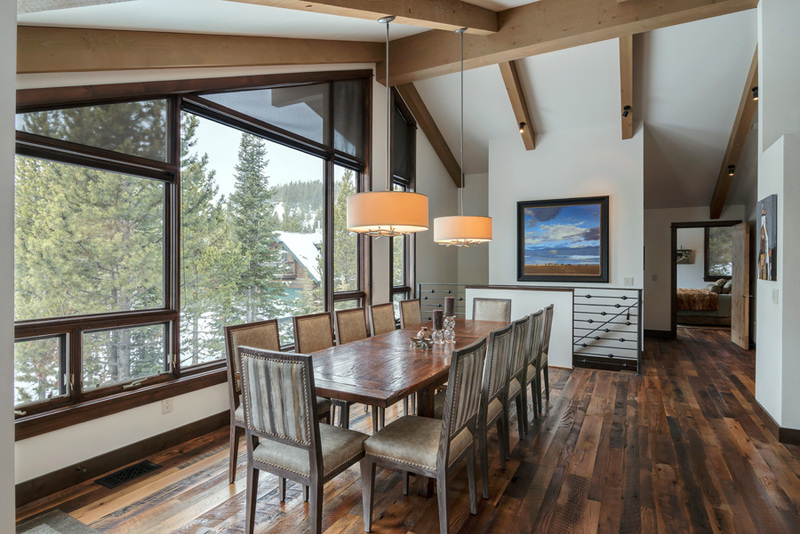 The distinctive use of lumber, stonework, and sleek, modern finishes sets the bar high for mountain-modern style homes in Big Sky. 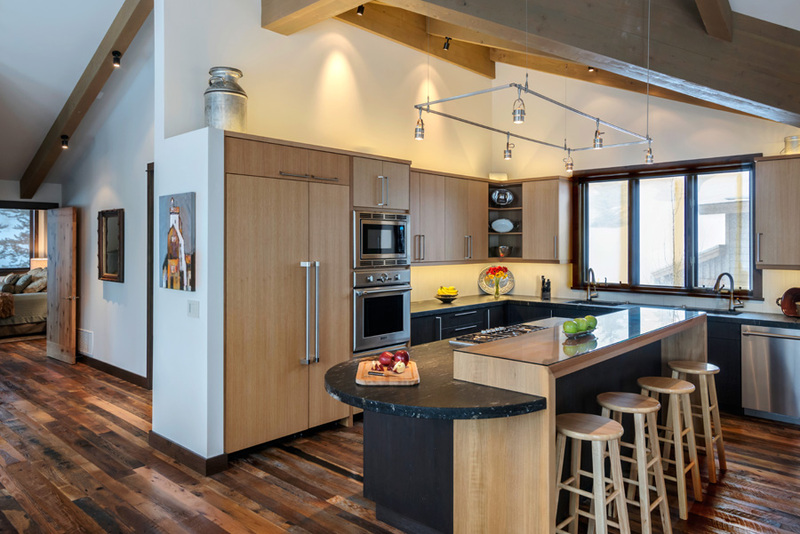 Kitchen cabinets customized from rift sawn Oak balance light over dark tones, creating a transitional feel amidst rustic elements. 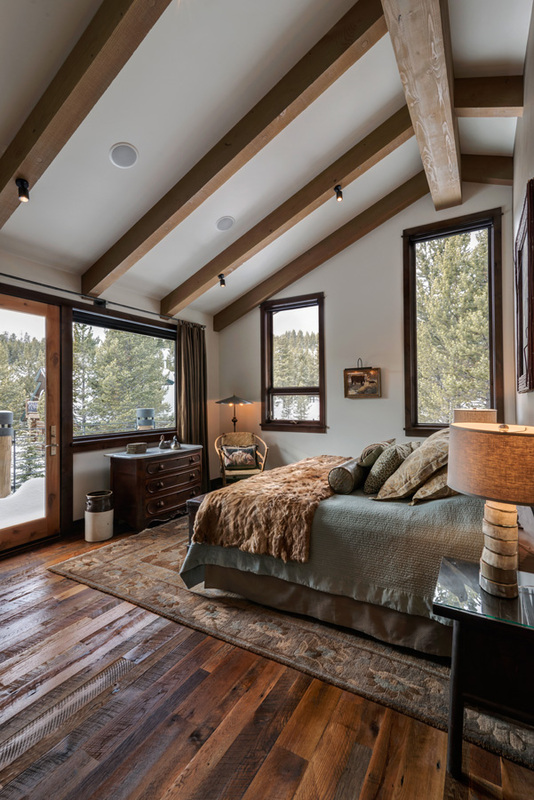 Steal away to the master bedroom and bath for a truly peaceful retreat. 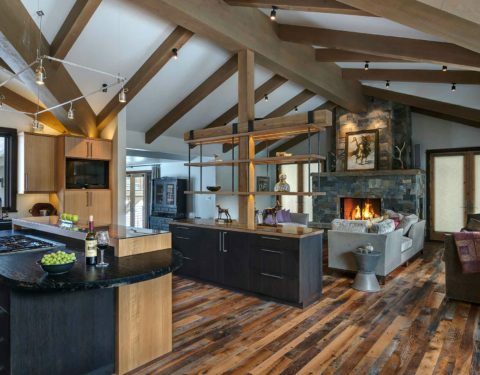 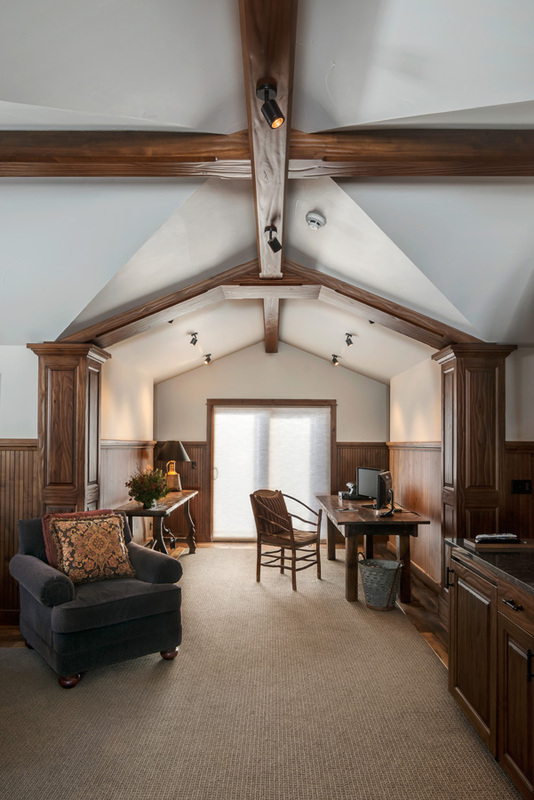 An abundance of light paired with the vaulted ceiling creates a spacious haven for the owners or their guests. 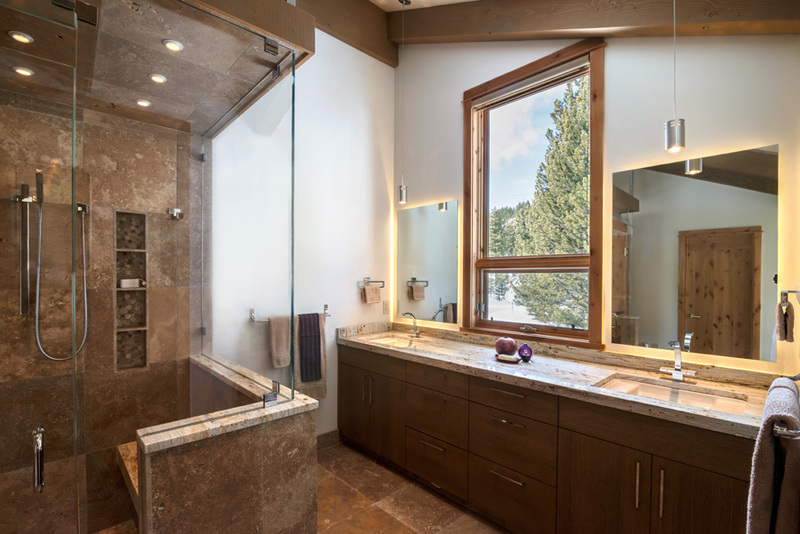 In the bathroom, travertine tiles and glass frame out a generously-sized shower complete with a rain showerhead and bench, promising many spa-like experiences. 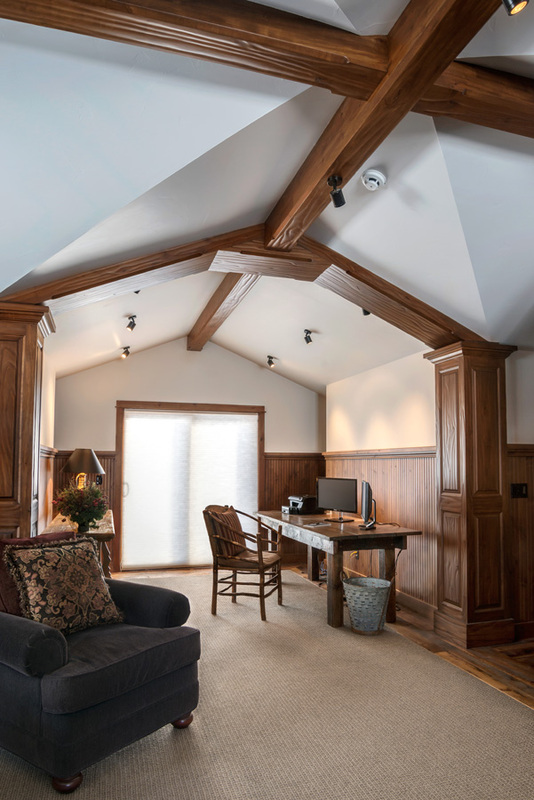 Ample space in the two-car garage accommodates a work area and features a little something special for the owner’s canine friends: an interior kennel attached to an exterior dog run. 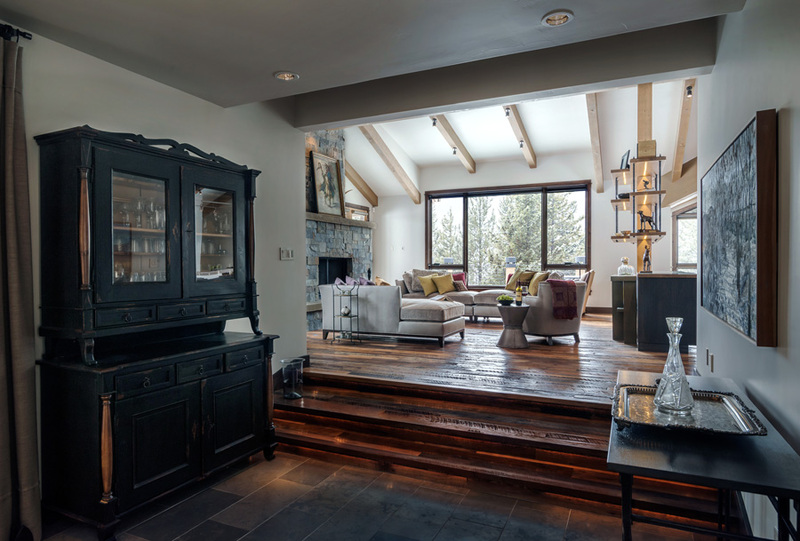 Wrapped in the privacy of the surrounding Pines and only feet from the White Otter ski lift, this nouveau redo is everything the owners (and their pets) dreamed it would be!